Saskia Uppenkamp/Flatiron HealthNat Turner, right, and Zach Weinberg have been friends and business partners since 2004. 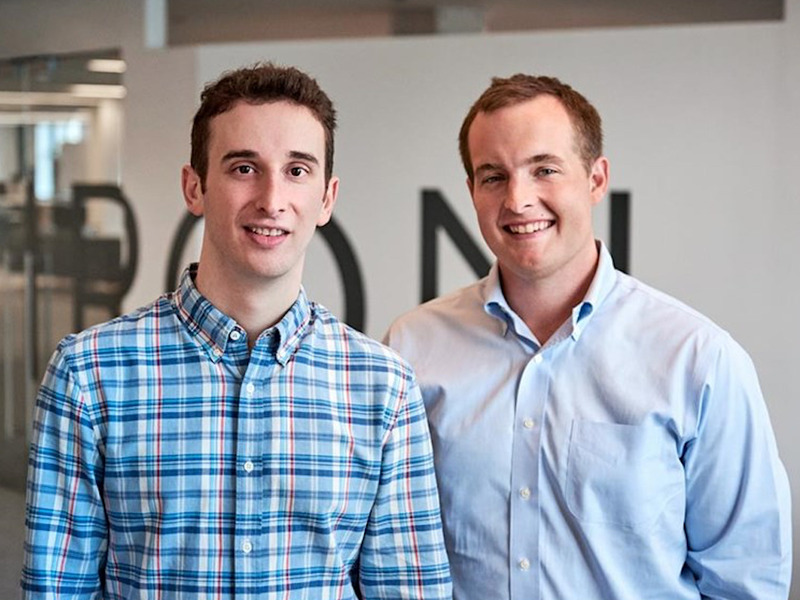 Flatiron Health cofounders Nat Turner and Zach Weinberg have been business partners since 2004, and have made an $US80-million and a $US2-billion deal. Turner said they have managed to work together successfully for almost 15 years because they let each other’s strengths complement the other’s, while sharing core ideals. He said they are both entrepreneurs at heart, continually wanting to invent and driven by a survival instinct. Nat Turner met Zach Weinberg on their first day of school as undergrads at Wharton, in a class known for being the easiest way to fulfil the writing requirement (“You had to watch a movie and then write a paper about the movie, and they catered dinner,” Turner said.). That was 2004, and it was the start of a business partnership that would see an $US80-million deal to Google in 2010 and a $US1.9-billion deal in February for their current venture, Flatiron Health. Flatiron develops software for cancer treatment centres that helps doctors better monitor patients’ progress and easily share data with researchers. The deal earlier this year was made with the Swiss healthcare company Roche, and Turner will remain CEO. He told us why he and Weinberg have been able to be business partners for nearly 15 years, from a college dorm hobby to multi-billion-dollar company. It’s a matter of recognising what the other is good at and letting their expertise in that area shine through. And while they have complementary skill sets, Turner said, they share a common drive. After selling Invite to Google in 2010, Turner and Weinberg became Google employees. It took them all of one day to realise they wanted to remain business partners. It’s the shared mission that is now the foundation for their partnership. Turner has grown into a manager who can run a rapidly growing team, and Weinberg envisions what’s next around product design.